It's time to set the record straight on these pheasant hunting myths. Most of the birds are shot when the South Dakota pheasant season opens. It’s a tradition like no other… an opening weekend pheasant hunt in South Dakota. Each year, outdoor enthusiasts from around the world re-visit the state where they have been developing traditions, friendship and memories for generations. In addition to great friends, family and hospitable South Dakota residents, hunters, will often experience a bit of success on an opening season hunt. Many think the success of early season hunters is enough to deplete one of the highest pheasant populations in recent history. Fortunately for us, and our pheasants, this is not the case. 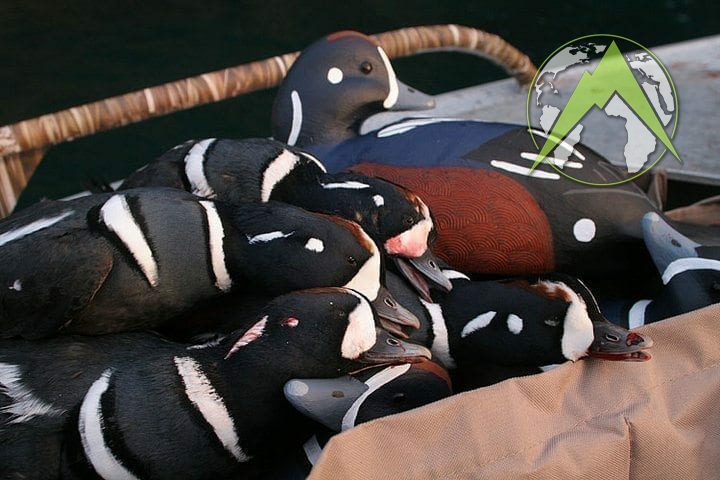 Bag limits will depend on a variety of factors that may sometimes limit the number of birds taken early in the season. Rest assured, there will be plenty of birds around during the late season months. The South Dakota Small Game License is too Expensive. Outdoor enthusiasts are stewards of the land. We take only what we need, and give back whenever we can in order to continue doing what we love. If you love pheasant hunting, purchasing a small game license in South Dakota makes you a stockholder in the future of wildlife populations in our state. The $110 small game license in South Dakota is good for two, five day periods ($11/day) and allows you to hunt not only pheasants, grouse and prairie chickens, but a variety of other small game species. The revenues generated from non-resident license sales are the primary funding for the Wildlife Division of our Game, Fish and Parks continues to allocate these revenues toward enhancing the outdoor resources of our state so today’s outdoor enthusiast and future generations can enjoy similar outdoor experience and opportunities. The supposed high cost of a non-resident small game license in South Dakota is a common complaint from many hunting enthusiasts making the trip each year. However, given the beautiful country, down home hospitality,and hunting opportunities available in South Dakota, the license seems much more reasonable when compared to other states. Hunting is not as good later in the year. Upland enthusiasts often ask when would be the best time of year to take to the fields in South Dakota. An early season hunt, as mentioned before, is a time for friends, family, camaraderie and, of course, hunting. The weather is traditionally mild, the hunting groups are large and the hunt is exhilarating. With late season comes a whole new set of elements and an entirely different experience. The temperatures have drop, public land becomes very valuable and the groups of hunters have been replaced by groups of ring-necked pheasants. The birds are generally flighty, and hunting them requires a bit of strategy and planning. Learning to use the habitat while hunting will become vital to your late-season success. One thing is for sure, if you want to see a lot of birds, a late-season hunt is for you.